IE Quick Tabs feature in Internet Explorer enables internet users to preview thumbnails of all open tabs in a single IE window. By using the Ctrl+Q shortcut for Quick Tabs in Internet Explorer, Internet Explorer Quick Tabs enables web users to overview all open tabs from a single point of view. By clicking on the thumbnail view of an opened tab in IE Quick Tab screen, a fast navigation to the target tab is also supported. IE Quick Tabs is a web browser feature which is first introduced with Internet Explorer 7. 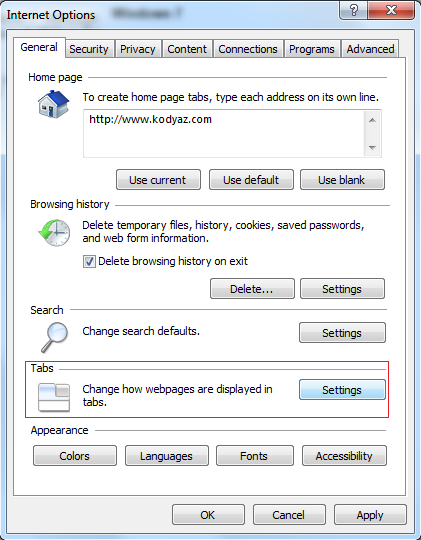 Although quick tabs exists in IE7 and IE8, this feature is disabled by default in Internet Explorer 9 (IE9) in the first beta and release candidate builds. 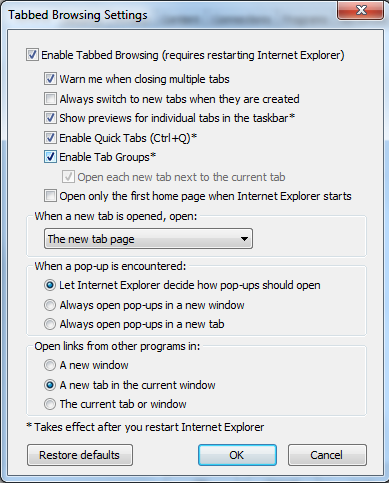 If you liked the Quick Tabs feature like me in your Internet Explorer web browser, you can easily enable IE quick tabs. Internet Explorer 9 will be more user-friendly with quick tabs! 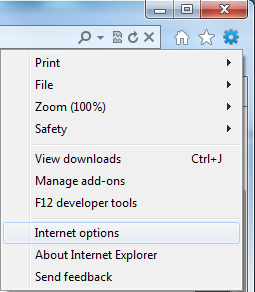 Follow the below menu selections in IE9.